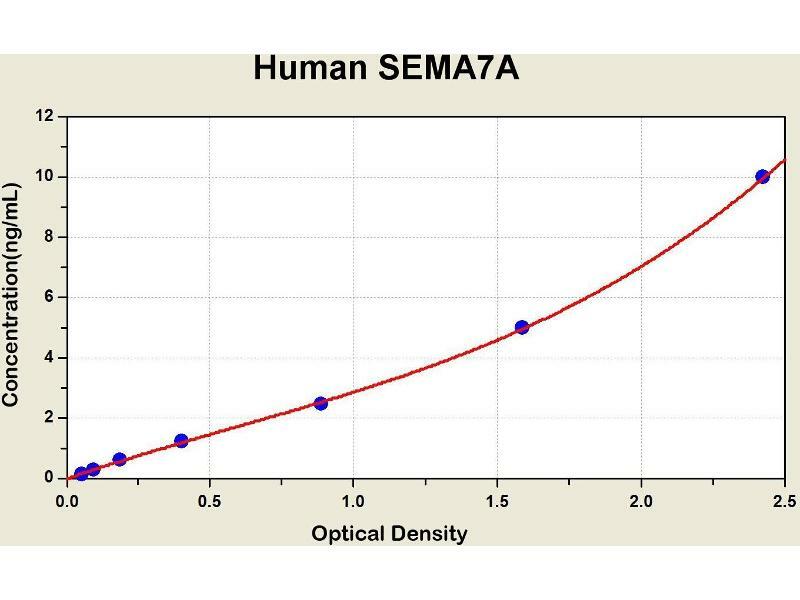 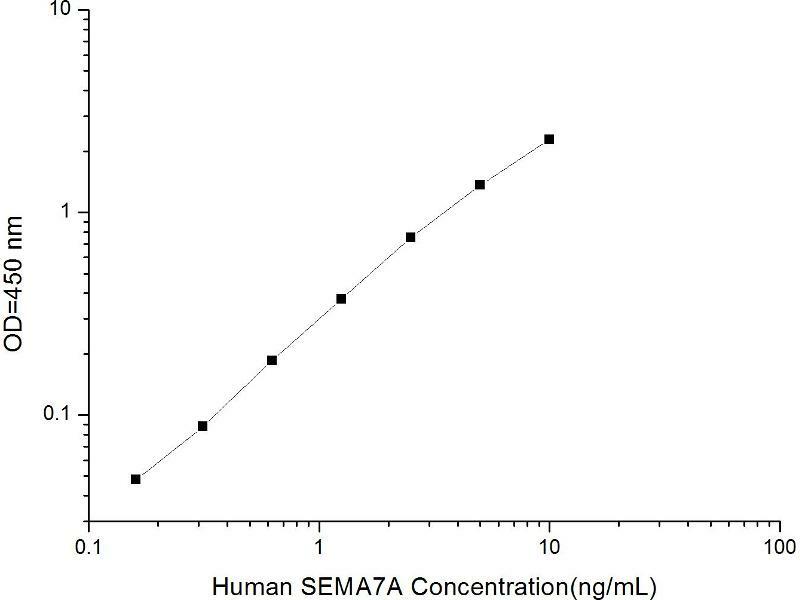 Diagramm of the ELISA kit to detect Human SEMA7Awith the optical density on the x-axis and the concentration on the y-axis. 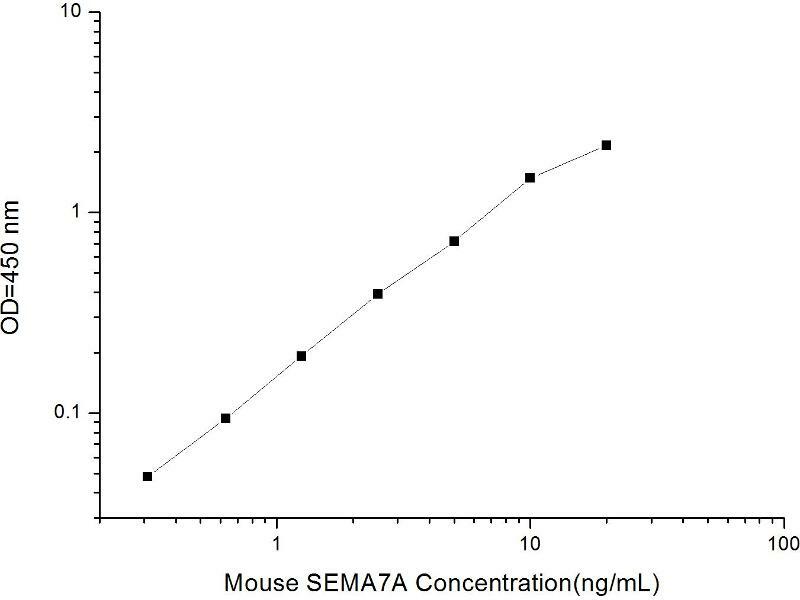 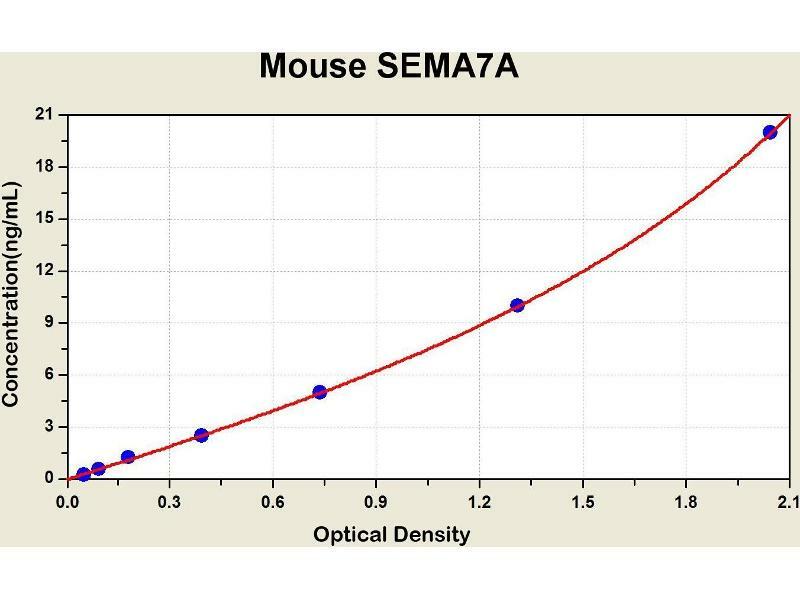 Diagramm of the ELISA kit to detect Mouse SEMA7Awith the optical density on the x-axis and the concentration on the y-axis. 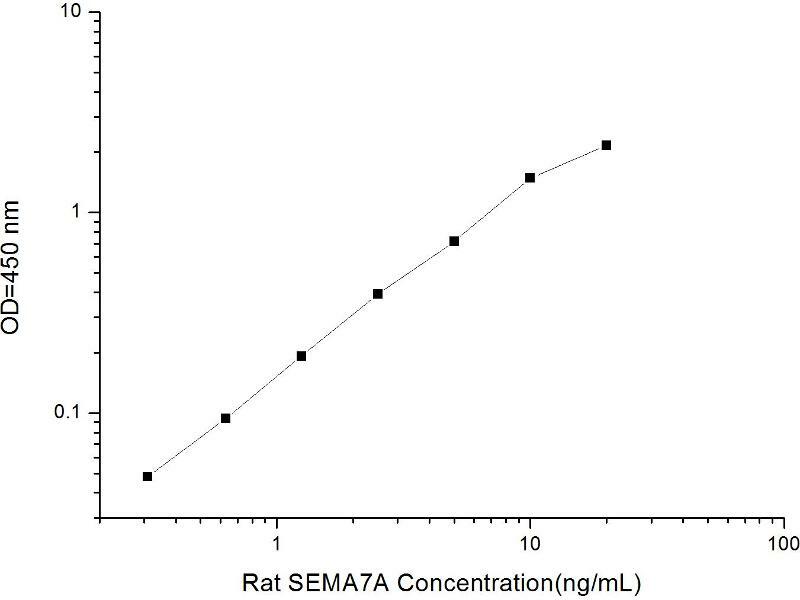 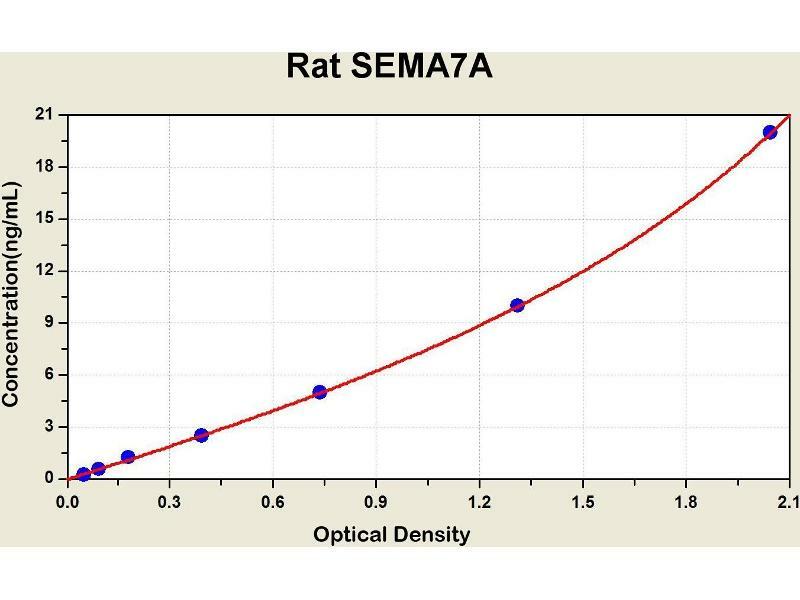 Diagramm of the ELISA kit to detect Rat SEMA7Awith the optical density on the x-axis and the concentration on the y-axis.